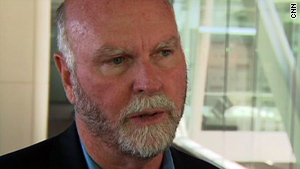 J. Craig Venter Venter says synthetic cells will help give science new tools for creating new food and vaccines. Rome, Italy (CNN) -- The Vatican had praise Saturday for this week's announcement that scientists had created the world's first synthetic cell, calling it an "interesting result" that could help cure disease. In an article Saturday, the Vatican newspaper L'Osservatore Romano called it "important research" and "the work of high-quality genetic engineering." But it said the scientists who created the cell had not created life, just "replaced one of its motors." "Genetic engineering can do good: It is enough to think that it could heal chromosome-related diseases," the article said. However, scientists must "join courage with caution," it said. "They touch a very fragile territory where the environment and manipulation play a role that cannot be underestimated," the article said. Genetics pioneer J. Craig Venter, who runs an eponymous U.S. institute for genomic research, announced Thursday that he and his team had created artificial life for the first time. Using sequences of genetic code created on a computer, the team assembled a complete DNA of a bacterium and inserted it into a cell of bacteria. The new cell was self-replicating, controlled only by the synthetic genome. "The weight of the DNA is great, and great are the expectations of genetic science," L'Osservatore Romano said. "Nevertheless, the DNA, even though it is an excellent engine, is not life." Venter said his team had not created life. "We created a new cell. It's alive. But we didn't create life from scratch," he said. Venter said the discovery would help give science new tools for a range of applications, from converting carbon dioxide into fuel and creating new food substances to creating new vaccines to treat diseases. The breakthrough will stimulate discussion about the possibilities, Venter told CNN. He said his next step would be to "see if we can create some of these cures for the planet."